George Clooney’s newest movie has gotten dismal reviews, slammed as nothing more than a preachy ode to global warming. Unsurprisingly, that message didn’t really resonate with movie-goers, and the film is now on track to lose over one hundred million dollars. 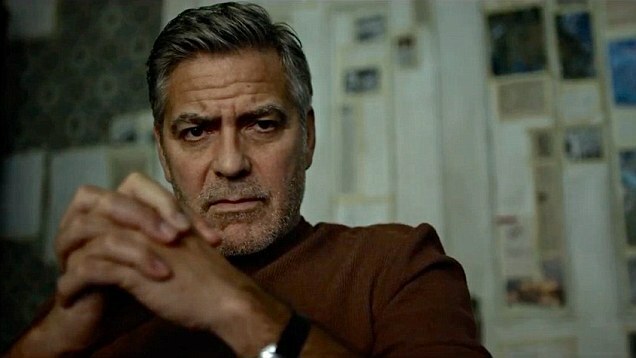 Disney could lose up to $140 million on the Brad Bird-directed George Clooney dystopian fantasy dud Tomorrowland. According to the Hollywood Reporter, in addition to spending $180 million to produce Tomorrowland, Disney shelled out an astonishing $150 million to market the film. Despite leading the U.S. box office during its extended Memorial Day weekend opening, the climate change fantasy only brought in $41.7 million across 3,972 theaters, less than the $50 million projected over the slow holiday weekend. The film also failed to catch on in China, the world’s second largest market, and debuted to just $13.8 million, earlier this month. After its disastrous release, Disney’s distribution chief Dave Hollis told the industry news outlet Variety the film would benefit from being the only family release until Pixar’s Inside Out hits theaters June 19. “It’s going to take more time for word-of-mouth to build,” he told the site. Two weeks later, things haven’t improved. After making only $170 million at the global box office (as of June 11) and receiving generally negative reviews, it appears word-of-mouth can’t save the film. Sources tell THR it is now expected to lose between $120 million and $140 million, which would make Tomorrowland Disney’s biggest flop since Johnny Depp’s 2013 film The Lone Ranger, which lost somewhere between $160 million and $190 million. It’s a real shame, because a movie like this without the global warming message slamming us over the head could have been great. Instead, Clooney decided to push his failing agenda of indoctrinating us into the cult of global warming — and he’s going to lose big time because of it.